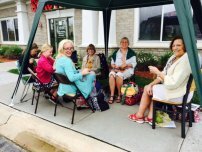 We had a great turnout for World Wide Knit in Public 2015...WE ALSO HOOKED IN PUBLIC..we started outside but due to the wind and the size of our group we moved upstairs to our wonderful classroom at the shop. Thanks to Deb's husband for the tent. 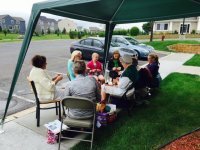 We enjoyed stitching together along with pizza and cupcakes. 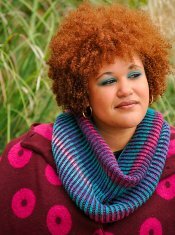 What a fun day to share with my fellow knitters and crocheters. Thank you all for joining me. We will schedule one in July, too. 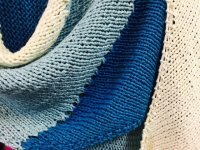 ALL the colors of Shibui Staccatto are restocked. 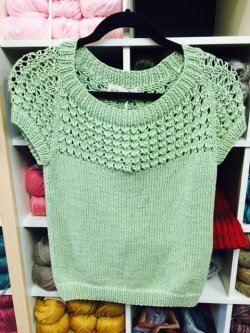 Perfect for knitting the shawl on the front of Knitscene Summer 2015. A great chill chaser with lots of color! 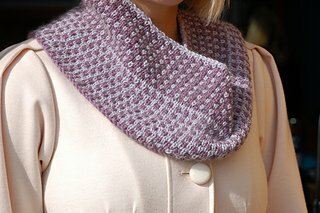 Rowan Cotton Lustre Wrap Sample now in the shop; 2 skeins each of 3 colors.This yarn is a fabulous knit and quick as well. 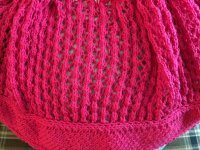 Deb just spun up some Frabjous Muffin Tops in Cranberry. The merino was soft and easy to spin. 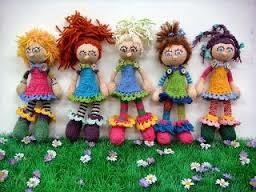 Lindsey is obsessed with these new dolls! 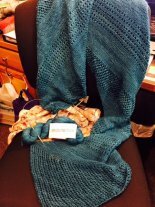 This KAL started as a twenty-four week project to make a Mitten Garland Advent Calendar. 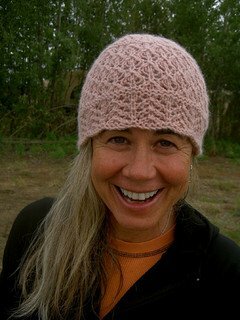 Each Monday through November 23rd, 2015 a new mitten pattern is released. 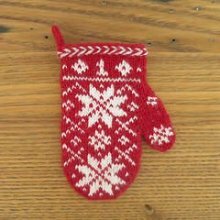 Each mitten is about 4.5” tall and 2.25” wide and is just big enough for a small gift. 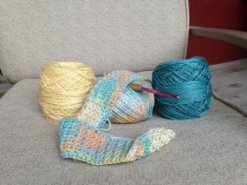 I am often asked for yarn and pattern suggestions for chemo caps. Here are a couple of my favorites. 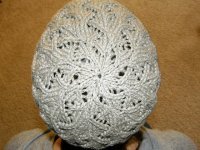 Lotus is a free pattern featuring some lace for comfort. 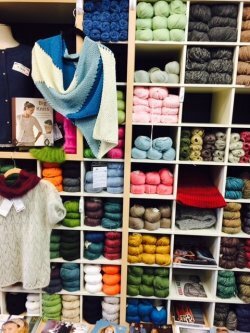 I always recommend soft, washable yarns. 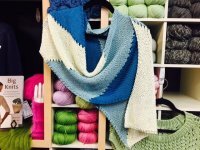 My favorites are Rowan Softknit Cotton, Cascade Ultra Pima, Plymouth Superwash Merino, Frabjous March Hare & Malabrigo Rios.